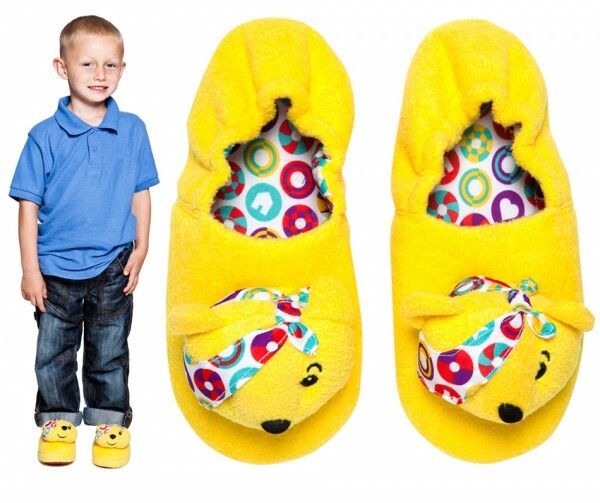 Home News	Get ready for Pudsey Feet Pandemonium! Get ready for Pudsey Feet Pandemonium! 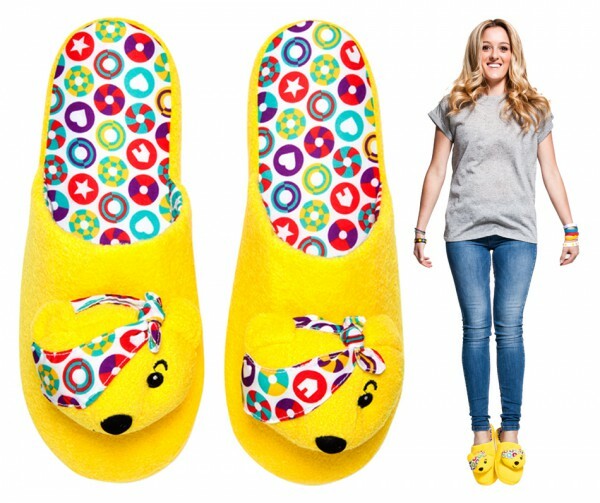 We have partnered up with BBC Children in Need to launch our official (and very cute and cosy) Pudsey slippers at amazing value for all the family. Our slippers, which come in adult versions and kids versions with backs, will be on sale exclusively at Shoe Zone both in store and online. 25% of the retail price will go to BBC Children in Need to help change the lives of disadvantaged children and young people in the UK. So get your Pudsey feet ready for BBC Children in Need on Friday 14 November and don’t forget to Tweet us a pic at #pudseyfeet!